Sold. 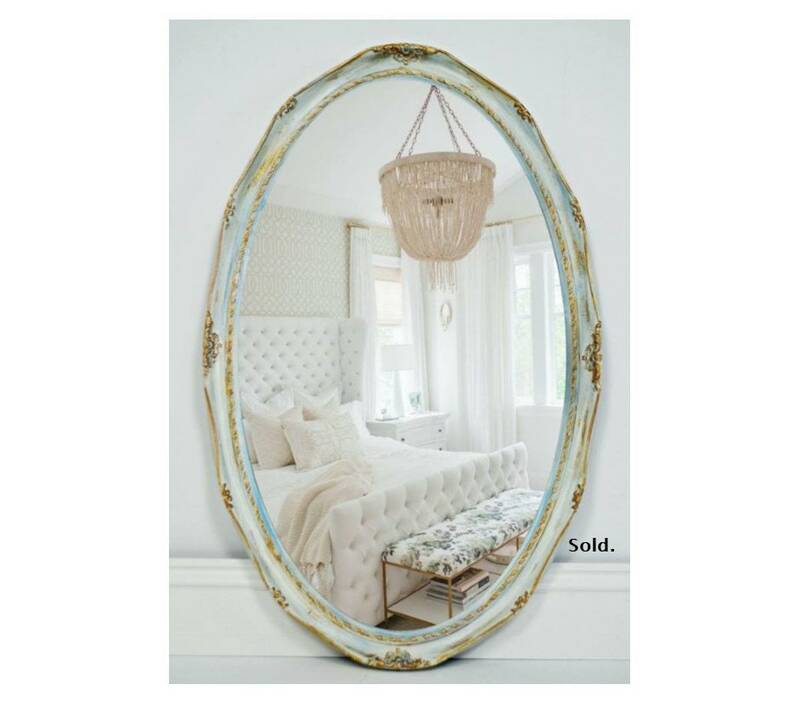 This dainty, vintage mirror is so pretty in her soft gold, cornflower blue and creamy white blends. Perfect in a foyer, at the top of the stairs or add this glamorous piece to your bedroom decor. She can certainly hold her own in any room. Be the lucky one to bring her home today. Dimensions: 33" H x 21" W.
Pick up or delivery is available for a fee. Contact me for Delivery or Shipping options. PLEASE READ: SHIPPING IS NOT INCLUDED IN PRICE. SHIPPING WILL NEED TO BE DETERMINED BASED ON LOCATION AND SHIPPING COMPANY USED . SHIPPING PRICE IN AD/CHECKOUT IS ONLY A GUESS NOT AN INDICATION OF ACTUAL COST. LOCAL DELIVERY / PICK UP AVAILABLE. Contact me if you would like to discuss! Remember that these pieces have been lovingly restored and imperfections are part of their original character and charm and are not considered flaws.